🌕 ＴＨＥ ＭＯＯＮ； ＴＨＥ ＩＬＬＵＳＩＯＮ. Moody, contemplative, and mysterious - That's how some would remember Cael before the death of her beloved daughter. The quiet scholar among the Major Arcana, more interested in interpreting dreams and negotiations than battles and fights. She always had an interest in languages and stories, arts and dreams due to her position. Collecting them and recording them for future references and interpretations for things that may come, the Moon may not be considered an active card but she had a presence all the same when she was called out and brought into play. But then came the war which ripped away her beloved daughter, the Star. Her marriage with the Sun crumbled soon afterwards and she retreated into herself. The fragile balance she had was shattered, destroyed by an act of deception and mystery ironically enough. She found herself turning to Death themselves for company ever since, becoming almost morbid in their fascination with the beyond and with their interest in stories and dreams becoming an obsession for them. The Moon finds herself waning these days and still she tries to hold true. People may whisper behind her back about her status, how she should have stepped down centuries ago, and she will not. For the Moon has phases, cycles they must go until they are allowed to begin a new part of themselves. What may feel like an eternity to them is simply a stage and a challenge they must go through. But for how long? And for what purposes? That is what she attempts to see through when she looks through the veils and the mirrors, hoping to find an answer to a riddle that seems almost impossible to solve on her own. 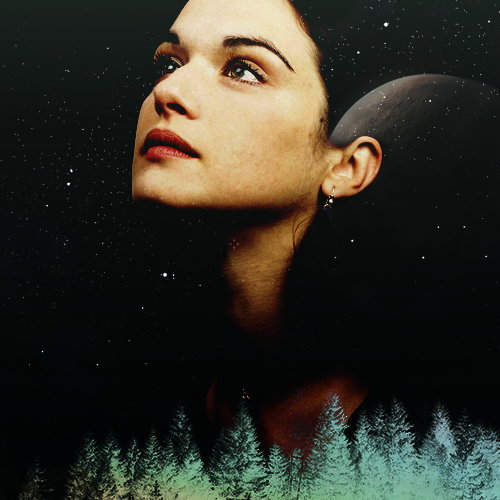 [ i am not rachel weisz. both player and character are over 18. layout by layout_lounge.